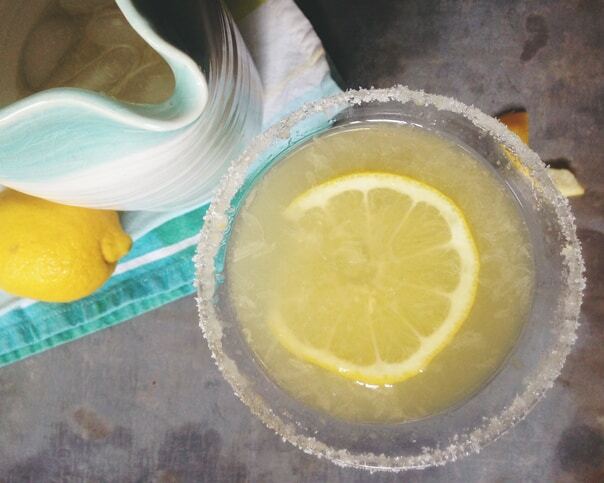 Serve up a pitcher of Meyer Lemon Drop Champagne Punch to celebrate summer. It’s so much better than lemonade. Dreaming up a party menu is easily my favorite part of planning a get-together, but there is one place I struggle sometimes: cocktails. 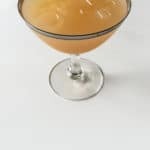 Though I am usually excel at making cocktails for a small crowd, I have a hard time coming up with a drink that a large group can enjoy. When I heard about the book Punch Bowls and Pitcher Drinks: Recipes for Delicious Big-Batch Cocktails by Jeanne Kelley and Sarah Tenaglia, I knew it would be a perfect addition to my bar cart. This book focuses on cocktail recipes that have been scaled up to serve a larger crowd. You make them in big batches using a measuring cup in lieu of a jigger and serve them in, well, punch bowls and pitchers. It certainly makes party beverages easier. You can make the cocktail before guests even arrive and serve it all night long without having to do lots of repetitive steps like juicing citrus or measuring liquids. That leaves you with more time to be with your guests. Mingle, don’t muddle, in other words! 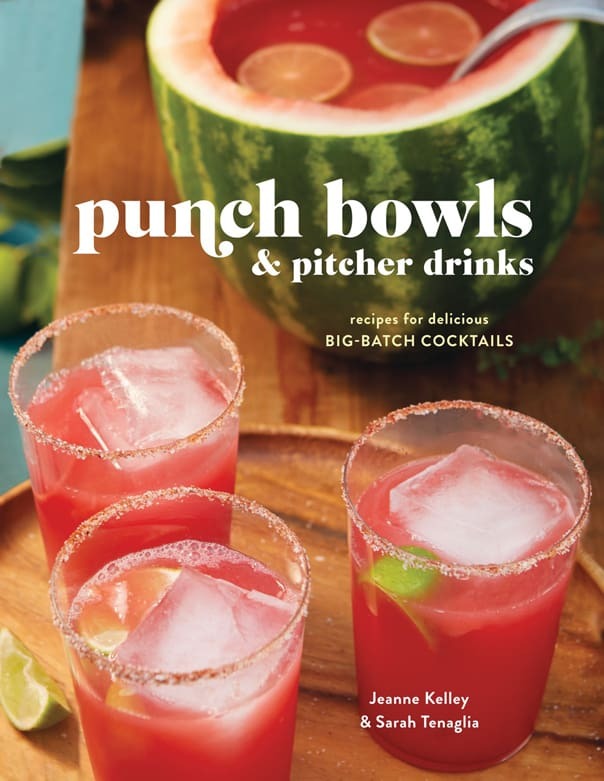 Punch Bowls and Pitcher Drinks is filled with awesome recipes that make me itch to throw a party soon. The authors scaled up classic cocktail recipes like the Pimm’s Cup into the Pimm’s Punch. There are summery, tropical drinks like sangria recipes, the Kumquat-Tangerine Smash and the Watermelon-Tequila Punch and wintery ones like the Aztec Chocolate Punch. There are even non-alcoholic punch recipes like Mixed Berry Lemonade for non-drinkers. I tried the Meyer Lemon Drop Champagne Punch recipe from the book, and fell in love. 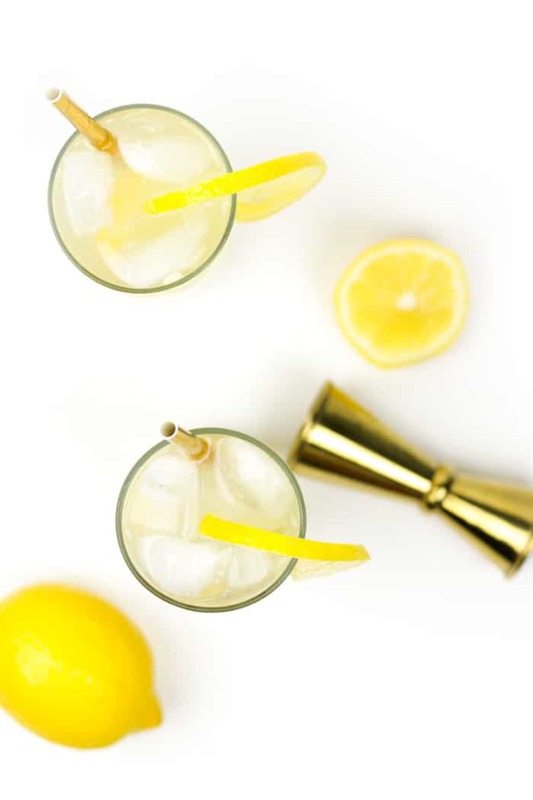 This recipe incorporates champagne, vodka and sweet-tart limoncello with the juice of Meyer lemons for a truly delightful spring cocktail. Full disclosure: I received this book from the Blogging for Books program in exchange for this honest review. 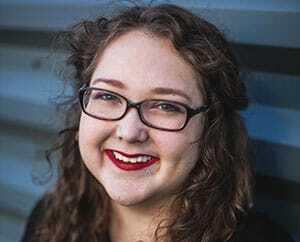 This post contains affiliate links and I will receive a small commission if you make a purchase after clicking one of them at no additional cost to you. All opinions are purely my own. Thank you in advance for supporting Feast + West! 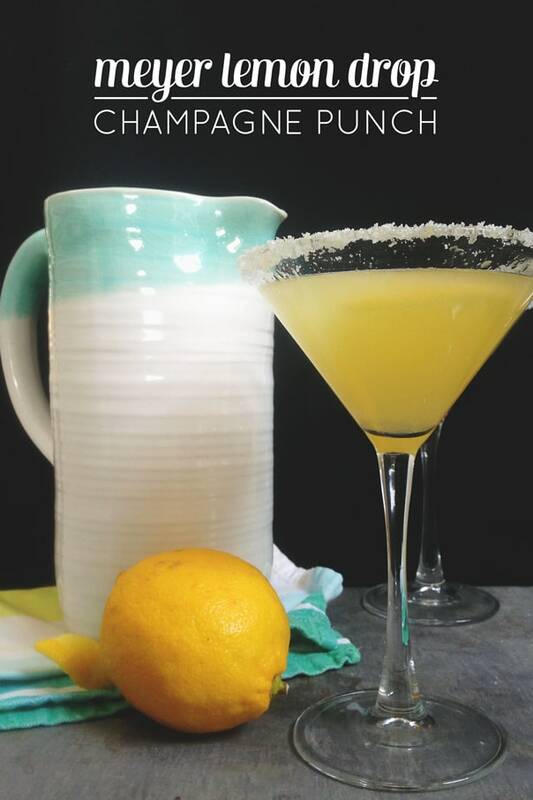 Click below to see the recipe for Meyer Lemon Drop Champagne Punch! 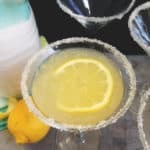 You’ll notice that this punch has no added sugar: It’s not necessary when the limoncello is already so sweet, and the sugar rim gives a little extra crunch. 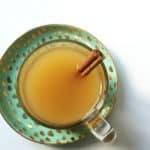 Better to keep this drink on the slightly tart and tangy side instead of giving your guests a toothache. Mix the Meyer lemon juice, vodka, and limoncello in a medium pitcher. Chill until cold, about 2 hours. Add the champagne and ice to the lemon mixture and stir until icy cold. Strain into 8 sugar-rimmed glasses and serve. 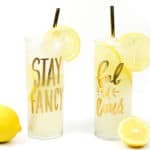 For Meyer Lemon Sugar–Rimmed Glasses: Use a fine-hole Microplane or other grater to remove the zest from 1 Meyer lemon. Mix the zest with ¼ cup sugar on a small plate, stirring to release the lemon oils. 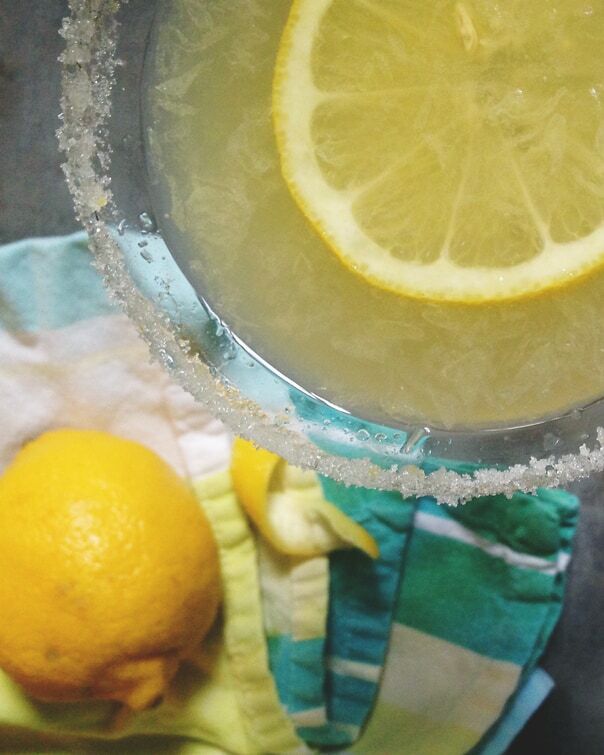 Rub 1 lemon wedge around the rim of small champagne coupes to moisten lightly. Dip the rims in the lemon sugar to coat. Reprinted from Punch Bowls and Pitcher Drinks: Recipes for Delicious Big-Batch Cocktails by Jeanne Kelley and Sarah Tenaglia. Copyright © by Clarkson Potter/Publishers. Published by Clarkson Potter/Publishers, an imprint of Penguin Random House LLC. What a stunning cocktail! I think the words “punch bowl” sometimes make people cringe, but this book proves they can be elegant and delicious. I’ll have to check it out. Great post! Every bit of me wants Summer to be here like yesterday after reading this post. Though I’m not a huge drinker, some Lemon drop champagne punch sounds like a grown-up lemonade to me. Definitely saving this recipe for the future. Thanks for sharing! This sounds so good! I can’t wait to try this! Yum! I haven’t had punch at a party in years, but I’m tempted to procure a good old fashioned punch bowl and put it to good use. 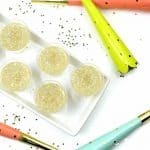 This champagne punch sounds delish!